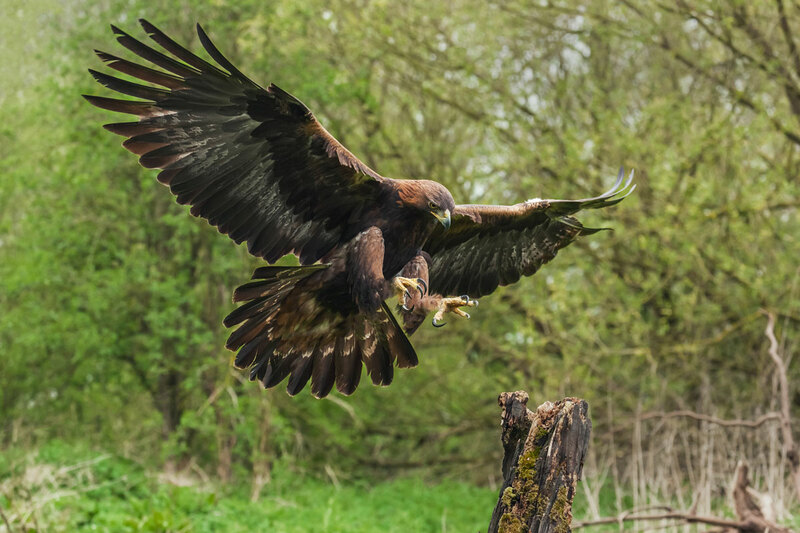 The giant wingspan of golden eagles means ultimate flight control. They can turn on a dime. The golden eagle is more prevalent than the bald eagle, living all across Montana in mountains, prairie canyons and other rugged terrain that provides good updrafts for flight.